Inara: So, explain to me again why Zoe wasn’t in the dress? Mal: Tactics, woman. Needed her in the back. ‘Sides, those soft cotton dresses feel kinda nice. It’s the whole… air-flow. Mal: You can’t open the book of my life and jump in the middle. Like woman, I’m a mystery. 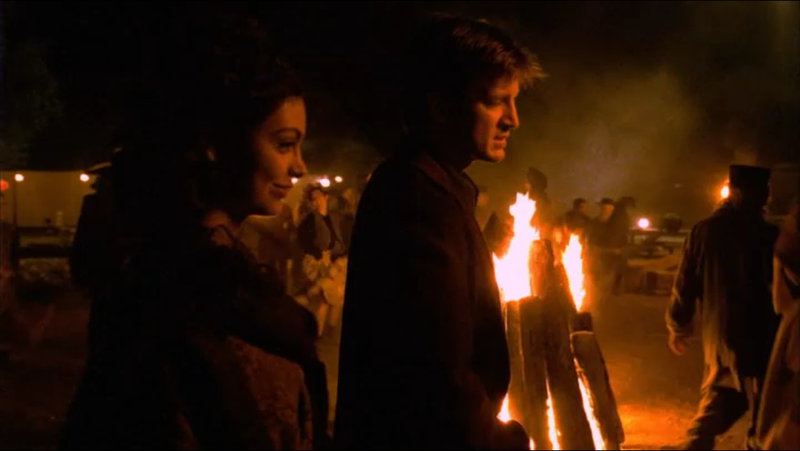 Inara: Let’s keep it that way. I withdraw the question. This entry was posted in Quote of the Day and tagged Firefly, inara, inara serra, Joss Whedon, Mal, Malcolm Reynolds, our mrs. reynolds, Quote of the Day, Serenity by lovepirate77. Bookmark the permalink.